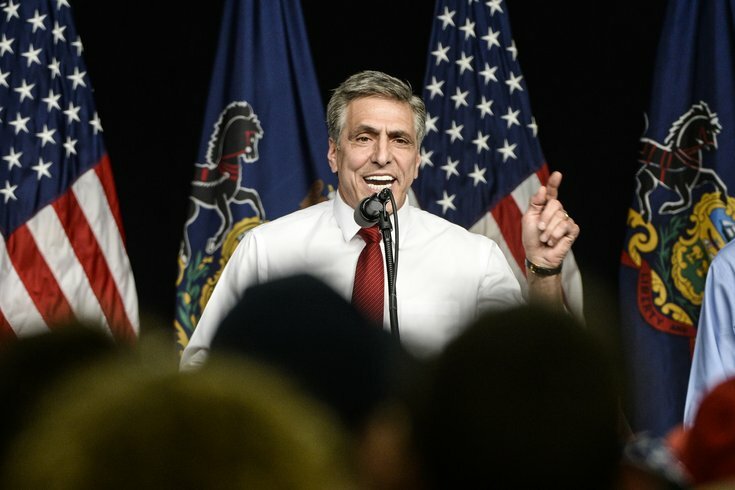 For now, it seems Pennsylvanians will get two debates between U.S. Sen. Bob Casey, the Democratic incumbent, and GOP challenger Lou Barletta ahead of November’s midterm elections. One will be in Philadelphia, and the other in Pittsburgh, and they seem to be ticketed for October. Reports of the debates eked out Tuesday, and Barletta’s campaign confirmed in a release that it had accepted the two debates. According to Laura Olson of the Morning Call, Casey’s camp also said it accepted the two debates. Barletta's camp says they've also accepted "invites in principle" to debates in Harrisburg and Wilkes-Barre. Casey's team cites schedule constraints with Senate session. They're sticking with two debates in the state's biggest media markets. Then Beynon and Casey’s communications director, Max Steele, got into a bit of a back-and-forth on Twitter on Tuesday afternoon. The #PASEN general election began 105 days ago. The @louforsenate team waited until an hour after finding out the number of debates the Casey campaign had agreed to to insist they wanted more. Sparks are flying, but we still don’t know exactly when or where the two debates will be held.